Pastor Danny Brooks of Heritage Bible Church spoke last night from I Corinthians 15 about The Empty Tomb. He opened with sharing of a visit he had made to the Tomb of the Unknown Soldier at Arlington National Cemetery in Washington, D.C., on Memorial Day weekend a few years ago. He shared history and details of the changing of the guards, and the significance of the tomb. Then he said that that tomb is central to the identity and mission of the sentinels who guard it, no matter how they feel, or what the weather may be. What a privilege it would be qualify and serve as one of those soldiers! And especially on a weekend when we honor those who have fallen, this tomb has a sobering weightiness to it of respect and gratitude for selfless sacrifice. We as believers are also a people whose identity and mission centers on a tomb–but the tomb we focus on is an empty one! We are called to guard and declare a Gospel of a Risen Savior! He is alive and intent on making our salvation real, victorious, and successful! Romans 6:11-14 Stop yielding to sin! Keep pressing forward until you believe the truths of Romans 6. Live like a resurrected child of God! Romans 6:5 He WILL glorify us–promised, as if already complete! Col. 2:20-23 Stop living a life of legalism, moralism, asceticism…You cannot save yourself. Col. 3 Hear the Gospel. Respond in faith and repentance. Set your minds on things above BECAUSE of the empty tomb and the Risen Lord! I Peter 1:3 Living hope through the resurrection of Jesus! Application: Is my identity and mission centered on Christ’s resurrection–on the empty tomb and the Risen Savior? Am I guarding and declaring the True Gospel of Jesus by my life, my words, my actions? 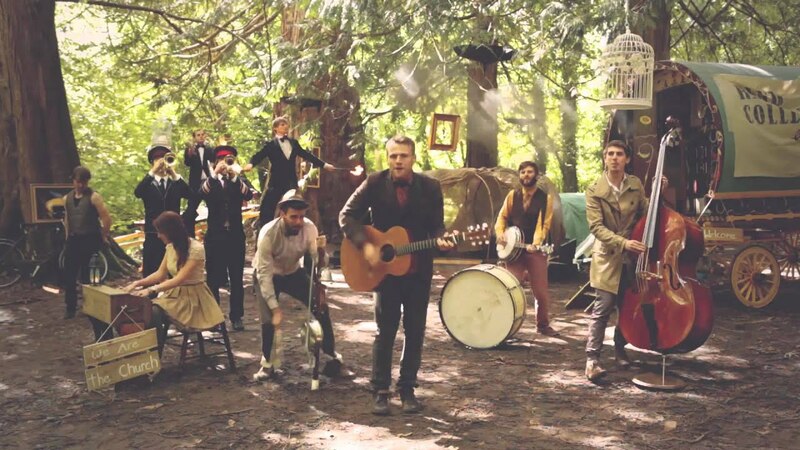 Am I testifying to the world that I live in the hope of the reality of the resurrection? If not, then go back to I Cor. 15 and Colossians 3: hear the Gospel; respond in faith and repentance; and live in the glorious hope of salvation, sanctification and future glorification. Happy Memorial Day! My heart is filled with gratitude for those who have sacrificed for our freedoms–and for those who are currently sacrificing to keep those freedoms. Thank God for our soldiers and their families! I love to read. Always have. Over the years, I’ve had a handful of books that have risen to the top of my list to “Must Read” status. 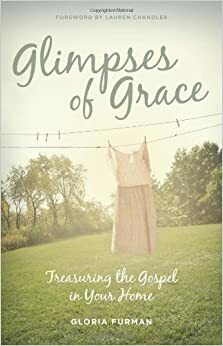 Glimpses of Grace: Treasuring the Gospel in Your Home by Gloria Furman is definitely one of those books! It is probably one of the best books I’ve read in the last 10 years! Gloria has a personal style that lets you know she’s been there–in the trenches with kids and cross-cultural ministry, serving her husband who pastors while struggling with a debilitating condition, keeping a home and keeping up with writing books and blogging. Glimpses is full of encouragement from real-life illustrations and Gospel-centered, soul-refreshing, rich, theological concepts. Glimpses is full of Scripture and quotes that reflect Truth and Hope. Gloria doesn’t see herself as a super-mom, but rather a woman with a powerful Savior! She talks about glorifying God in the mundane–where, if we’re honest, the majority of our lives fall. God uses these simple, everyday things to communicate Truth to our hearts. From doing dishes to sweeping up sand again and again, God showed her to see her own dirt and sin that needs repeated repentance and to rejoice in His faithful forgiveness and unrelenting grace. “Because God raised Jesus from the dead and gave him glory, our faith and hope are in God (1 Pet. 1:21), not in our ever-changing circumstances or in the comforts of our homes and meticulously planned routines” (21). “Even in my darkest doubts, when I do the same thing again the next day, my hope is still built on the righteousness of Christ. The gospel keeps me relating to God on the basis of Jesus’s perfections, not on the illusions of my religious achievements. God strengthens me and protects me according to his faithfulness, not mine (2 Thess. 3:3). So I can scrub dried blueberry bits as unto the Lord as my heart is satisfied in God because his kindness to me in Christ leads me to repentance again and again” (33). “Christianity is not a how-to manual for having a nice life. … Jesus’s work on the cross means more for you than an example for good living. The Bible is God’s story of how he redeems a people he has chosen to worship him for all eternity. …In the end, the good-life formula will not bring you to God and save you from your sins. Only Jesus does this through the gospel. In its worst work, the good-life formula can help create a delusion that because you are living in a Christian-like manner, you must be pleasing to God. In reality, your righteousness may be like that of the Pharisees, whom Jesus described as whitewashed tombs with dead men’s bones inside. In this way, the good-life formula is an offspring of self-justification” (45). “The source of our faith, hope, love, joy, and gospel-grounded optimism is God himself and not our stuff or our circumstances” (59). “…the point in forgiving one another is not just about the act of forgiving–it is the aim or goal that forgiveness seeks, which is reconciliation with God. … The forgiveness of our sins is a gift of grace, but it’s not ‘the’ gift. ‘The’ gift God offers us through Jesus’s work on the cross is everlasting fellowship with a holy God” (60). “Whatever the ‘this’ that you desperately feel you can’t do anymore, it’s ultimately not about your circumstances. It’s about peace with God. And God has provided a way for you to have that peace that dominates any and all circumstances, regardless of how difficult they are” (78). “Self-righteousness comes from within us and leads us to worship ourselves. Grace comes from God and leads us to worship him” (80). “The gospel is the one great permanent circumstance in which I live and move; and every hardship in my life is allowed by God only because it serves His gospel purposes in me. When I view my circumstances in this light, I realize that the gospel is not just one piece of good news that fits into my life somewhere among all the bad. I realize instead that the gospel makes genuinely good news out of every other aspect of my life, including my severest trials. The good news about my trials is that God is forcing them to bow to His gospel purposes and do good unto me by improving my character and making me more conformed to the image of Christ.” -Milton Vincent (qtd., 84). “When we minimize the offensiveness of our sin, we are attempting to diminish the holiness of God” (101). “Our hearts cannot be the end-all authorities on truth. Only God can claim that right. Sometimes we really need to wrestle our hearts into submission to God’s truth” (124). “We see glimpses of God’s grace in our homes when we cherish God through the gospel of Jesus Christ. The solution to our problems in the home and the impetus for our enjoyment of life in the home is fellowship with God through Christ Jesus’s atoning sacrifice on the cross” (180). Coming Soon: “Dispatches from the Front” Book! On May 31st, a new book will be hitting the shelves. 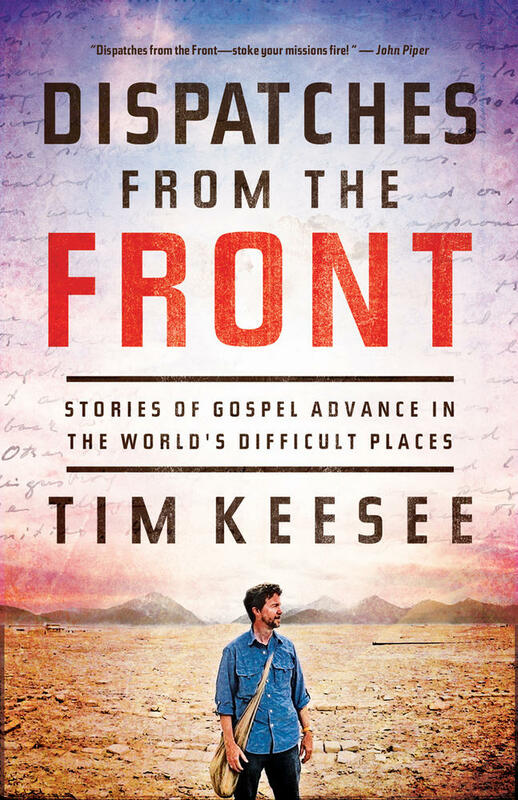 Executive Director of Frontline Missions International, Tim Keesee, brings us Dispatches from the Front: Stories of Gospel Advance in the World’s Difficult Places. This book is a must-read for all believers interested in missions. But beware, if you pick up this book: not only will you not want to put it down, you may also be encouraged to pick up the cross and follow Christ on a whole new level of Kingdom work. If you’ve seen any of the Dispatches from the Front DVD series, you’ll recognize Tim’s journalistic style and hear his voice as you read his encounters of God’s Kingdom Advance, growing and expanding all over the globe, especially in the difficult places–places considered “closed” to most people, but not closed to our great God. I was honored and thrilled to be part of the early proofreaders, and am so excited to share this book with you. I am privileged to not only know Tim as my boss, but also as my friend. He’s a gifted writer and a faithful, humble servant of our heavenly Father, who counts the costs and takes risks in order to share the Good News, wherever he goes. You’ll feel like you’re riding on the train with Tim, as he journeys across Siberia and China, India and Egypt; you’ll drink coffee and tea with him in South Asia, Turkey and Ethiopia; then you’ll grab your boots and head with him through Cambodia, the Balkans, Pakistan, and to the “uttermost parts of the earth” (and, yes, there are maps included). You’ll cry with tears of grief, as cross-bearers give up their very lives for the sake of His name; and you’ll cry with joy, as former haters of the Gospel embrace Jesus as their personal Savior! The stories take place over twenty years and multiple trips to a myriad of countries and regions and people groups. Tim’s writing is not just story-telling, but an act of worship, as he recounts not what he has done or where he has gone, but what God has done and revealed of His great glory all over the world. But don’t take my word for it. Grab a cup of coffee (and maybe some tissues), and download a PDF excerpt of Dispatches from the Front. Then on May 31st, download the full e-book or pick up a copy at Crossway.org, and continue reading of our great God and His glorious Gospel! Below are the lyrics to a song I heard for the first time yesterday, sang as if in a prayer. I hope these words will be an encouragement to you all, as they were to me. “We seek Your kingdom first.